When we were in Cabo, I loved browsing the various vendors and flea markets. I especially loved the pottery. I could have bought soooo much stuff, but Andrew kept my spending under control. I also had to worry about getting everything home in one piece, so I knew I couldn't go too overboard! Maybe it's the 5 year old in me, but I always love to buy a little souvenir on each of my vacations. I think it's nice to have a little something as reminder of past adventures. 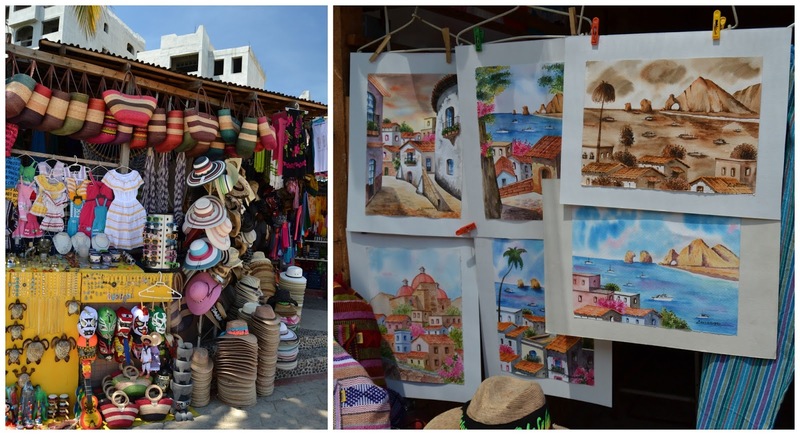 When we went into town, we'd spend some time strolling through the market, usually in search of street tacos and a cold cerveza. I loved photographing the colorful bowls, plates, blankets and miscellaneous trinkets. 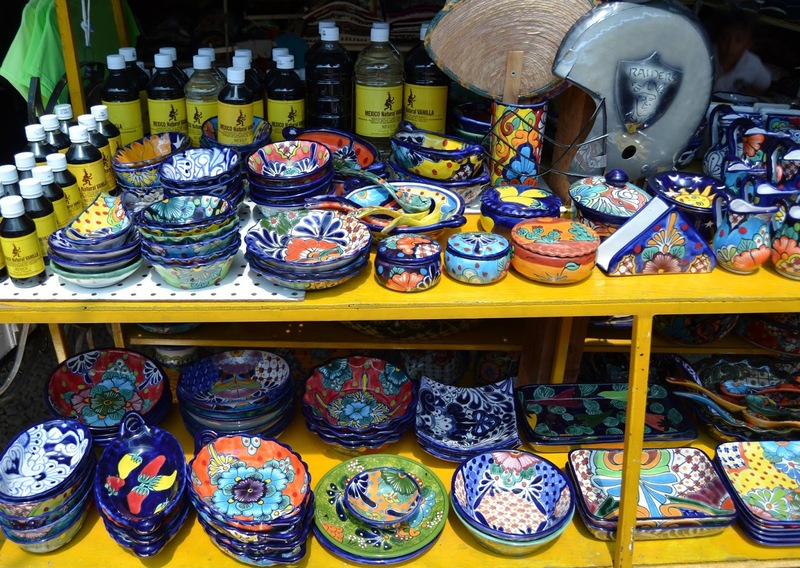 It was fun to play with the settings on my camera and try to capture the bold colors and feel of the market. My favorite pieces were the bowls, but I fell in love with a few spoon rests and wall geckos too. 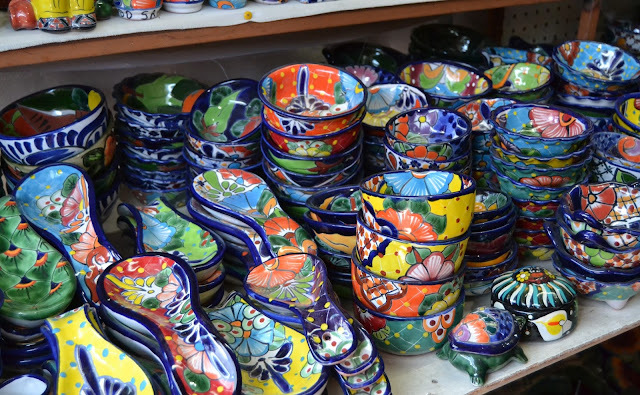 There were so many beautiful colors and patterns, it was hard to decide which one I wanted to bring home with me. We ended up purchasing a couple brightly colored bowls, which you'll probably see in future blogs posts. As well as a little skull we thought would be a fun addition to our fall/Halloween decor. It's also my tradition to buy a Christmas ornament on each of my vacations, and I found the perfect little globe that will be a great reminder of our first vacation together. So festive! Gotta love all the color and prints and details - the pottery would make for some insane home decor! Great pictures! Im a sucker for beautiful pottery too. I recently made myself pull mine out for every day use. Even just chips and salsa I put out in beautiful pottery. Why do we need a special occasion to use it? The markets looked like fun. LOVE those bowls! I would've bought one to use as a jewelry holder. The colors are just so pretty and vibrant. Those spoon holders are cute too. Beautiful photos! I love the color!